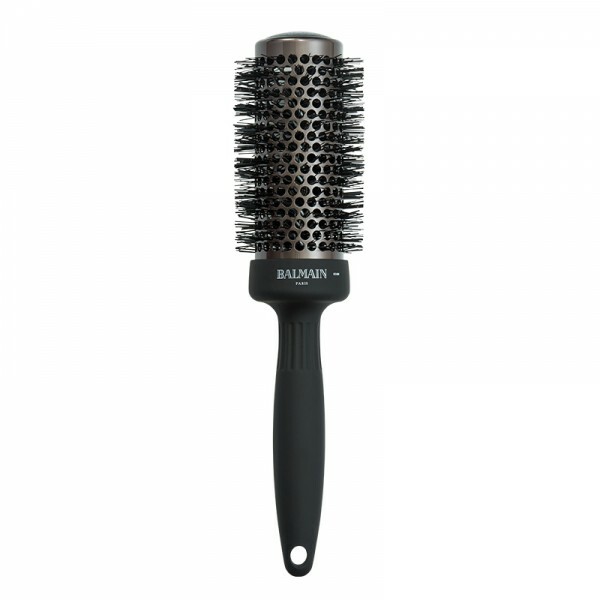 Professional Round Brush with ceramic coating that emits negative ions, closes hair cuticles, locks in moisture and reduces frizz and flyaway hair. The ceramic coating ensures fast and even heat distribution, enhancing drying time. With ergonomic, seamless handle and large round holes to maximize airflow. The 43mm diameter is ideal to blowdry medium to long hair.